Well more precisely paint one….or eat one. We had a crafting day yesterday as the weather was miserable. My mummy prepared all the paints and materials while I watched Frozen for the millionth time! I also needed to get inspiration for my snowman artwork! 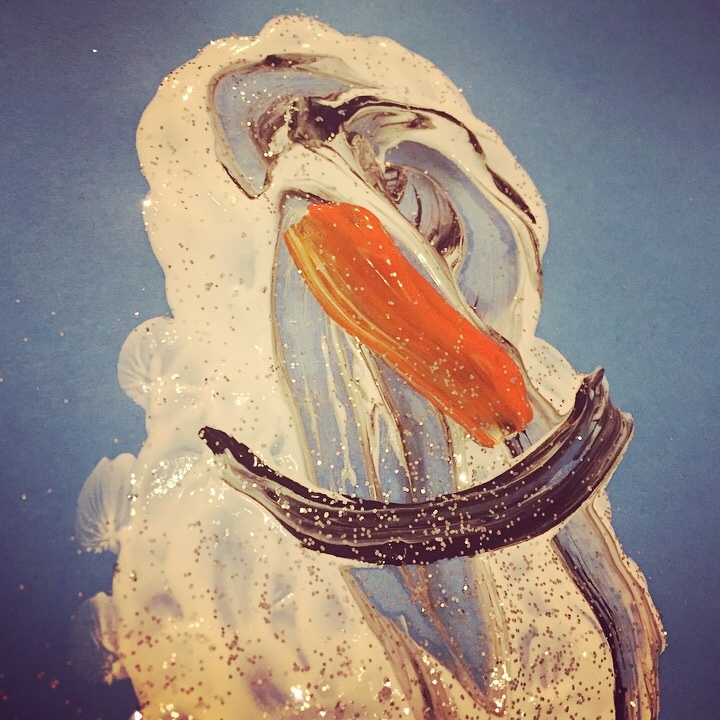 We used plain blue paper, white, black and orange paints, PVA glue, silver glitter and….marshmallows! Yes, you heard me right – little floaters! The ones you put in hot chocolate and epic big ones that we usually toast over an open fire. 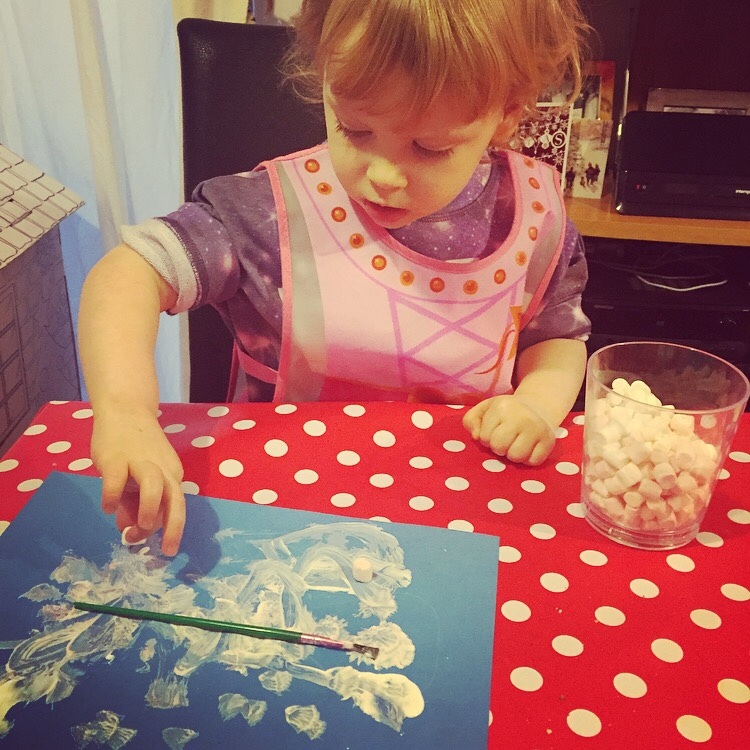 We smothered with white paint on the paper with 3 great big splodges and stuck the marshmallows down with a mixture of paint and glue. I kept eating our supply of marshmallows though!! It was very messy but enjoyable. I think you’d agree that our masterpieces look quite good! I had particularly good fun painting my hands and face…who needs a canvas when you have your body eh? 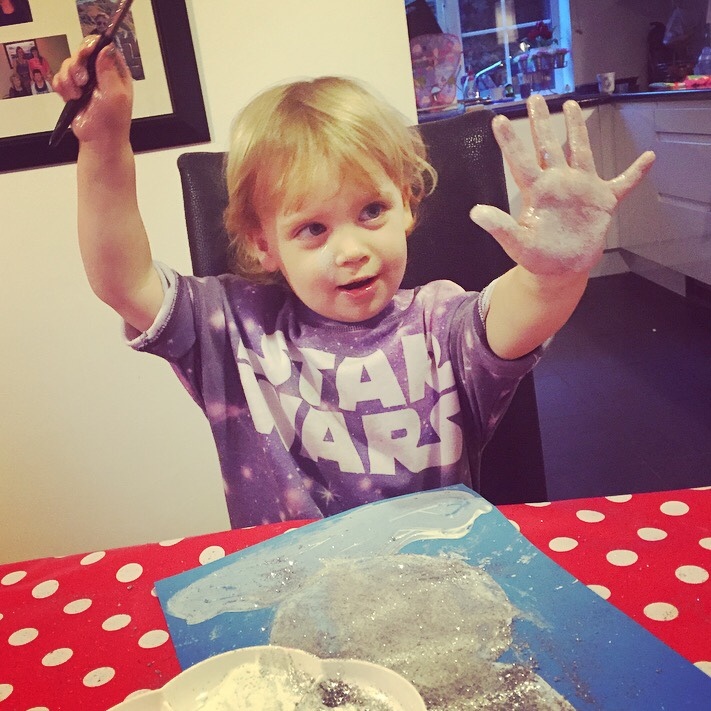 It’s a really simple craft and toddlers love to snack and paint at the same time!! 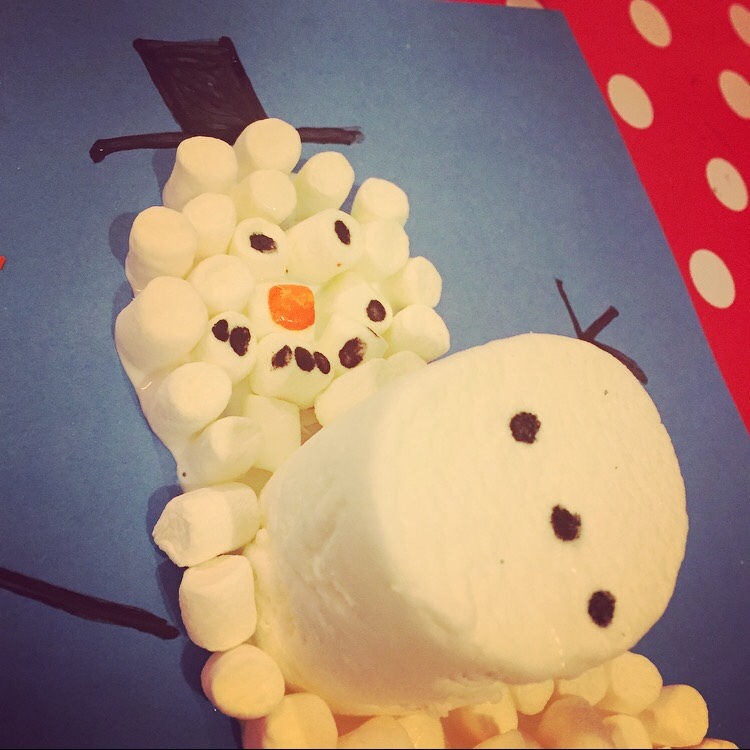 The textures of the marshmallows are lovely and squishy! We’ve hung up our artwork as a Christmas display to show off to the rest of the family! I like to think mine are abstract works of art! Hehe! Which one is your favourite snowman? 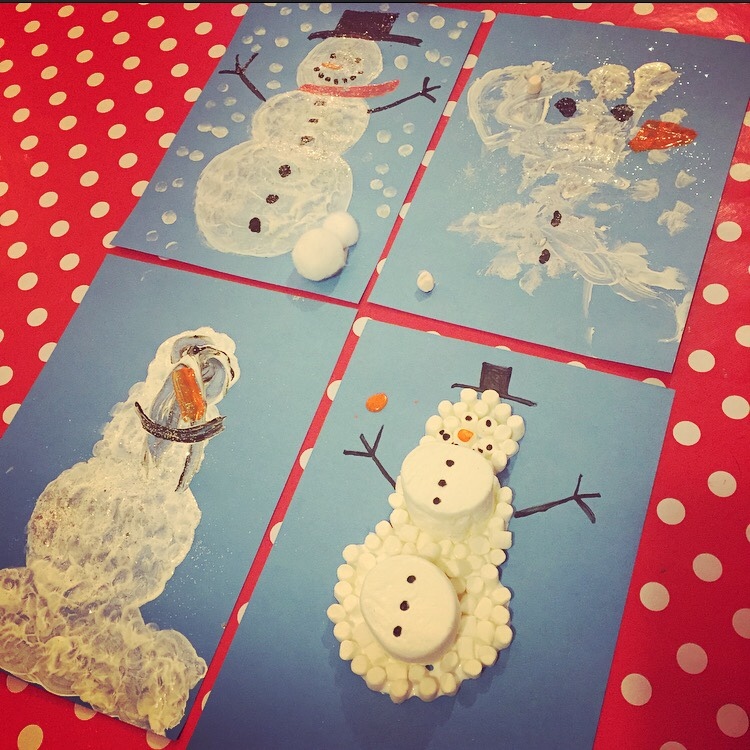 A lovely idea for a crafty morning, I rather like the one that is sliding around like a melting snowman! A very Merry Christmas to you, I’m sure it will be magical in your household and I look forward to hearing all about it. Aww thanks! Yes we ate a lot of marshmallows!! What a lovely morning. My fav is definitely the marshmallows who can beat crafting and eating? Aw, fab pictures, what lovely artwork for Christmas. Now those are some awesome looking snowmen! I love the different ideas to create them. 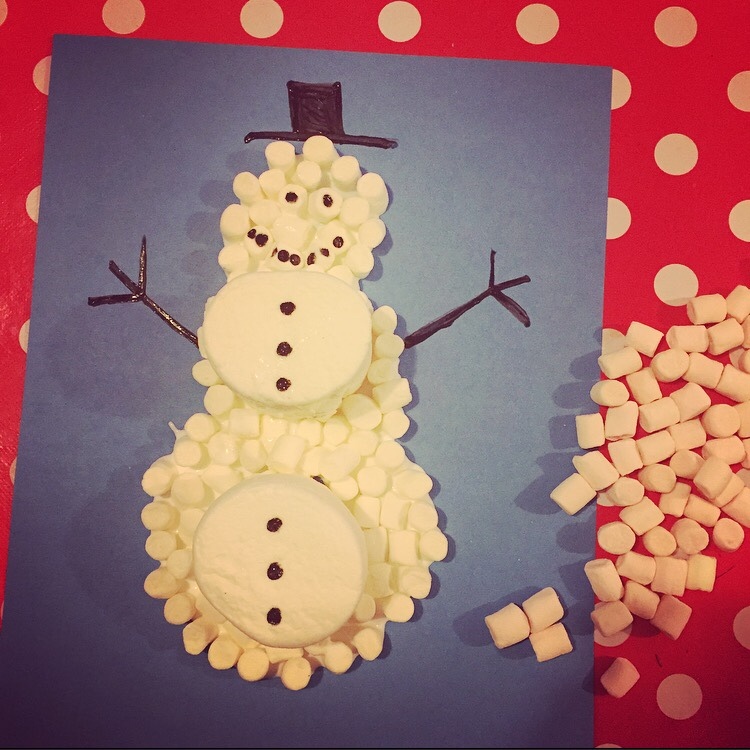 I love the marshmallow snowman, Christmas is the best time to get crafty! What lovely creations! 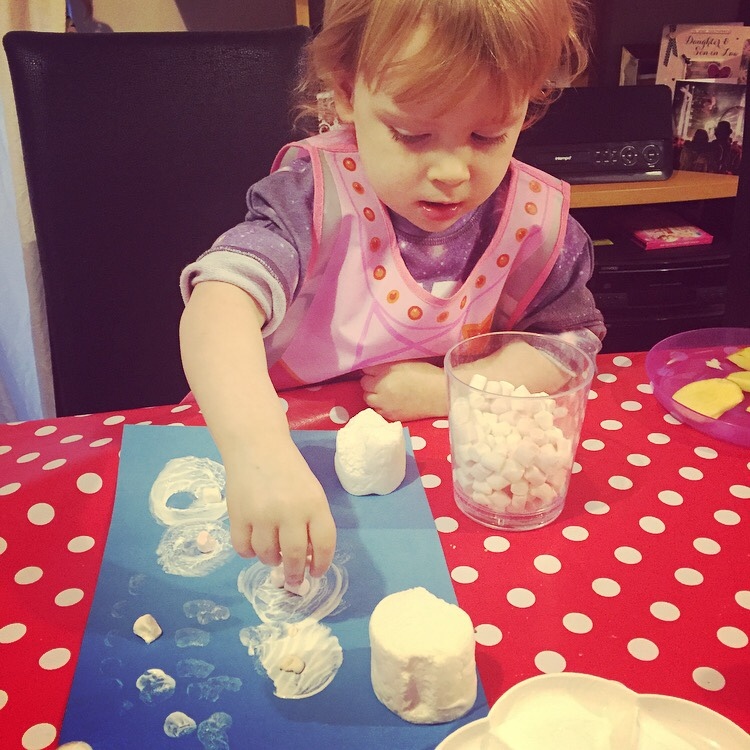 Love the idea of using the marshmallows too! What a great way to keep the children entertained on a rubbish day! 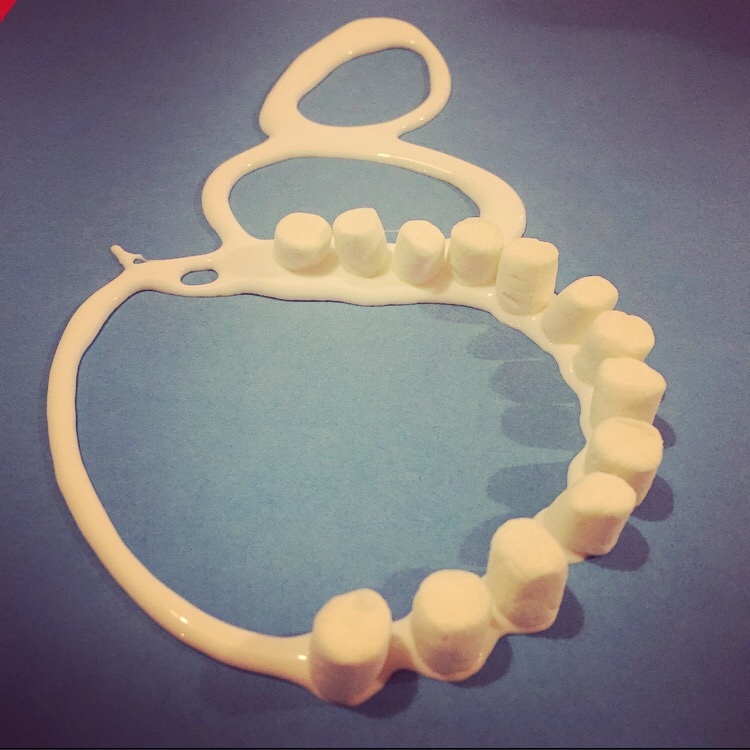 Love the marshmallow idea! Love these snowmen creations. Wish we could do ours. Awwwh the finished products look great!!! 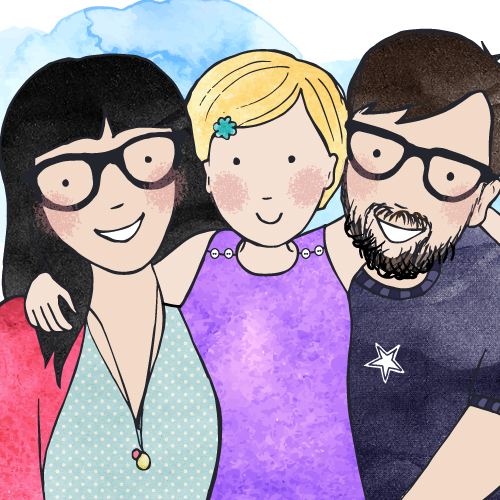 How cute are they and what a lovely family activity! I think my boys would definitley enjoy some messy fun!! What a super idea, my girls would love to do this although I bet they would eat all the marshmallows before they started making the picture. 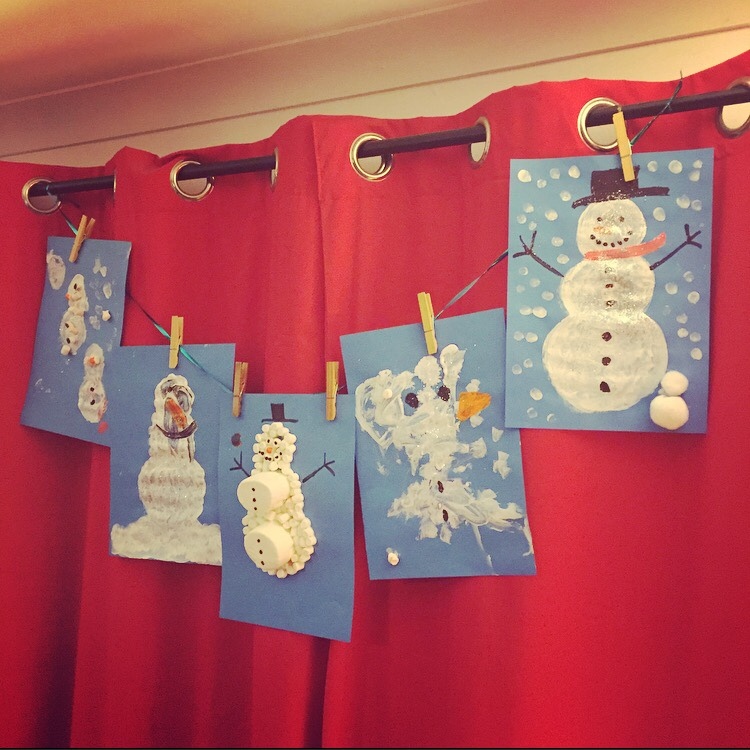 What a brilliant idea and such a fun activity to do together, I love being creative with my little girl but hadn’t come up with an idea for a Xmas themed session. We used leaves last month which went down a treat! I’ll have to try this out but couldn’t guarantee the marshmellows would last longer then 5 minutes! Also I love all the paintings but the Olaf one is super cute!! So cute! I’ll definitely be doing this with my little brother when I return home for Christmas – he’ll love it! Oh WOW, I absolutely adore this idea, I can’t wait until little D is big enough to try this on! These are great! I know we would have eaten far more marshmallows that ever made it one to the paper! Thanks so much for sharing hunny.